When it comes to having their TV installed, many individuals choose to go for the DIY option, rather than hire professionals such as aerial installers in Chelmsford. The reasons for doing this are many, but perhaps the most popular one has to do with the fact that people are under the impression that they may save money this way. Well, this may be true in some cases, but if you take into consideration how many things could go wrong, and that you may have to hire a professional to fix things anyway, that reason goes out the window. Performing a TV installation when you have no idea what you’re doing, may just end up taking forever. Now, if you’ve got a lot of free time that you don’t really know what to do with anyway, this is not that big of an issue. However, if you feel like there are always things to do, and you never seem to have enough time, wasting a whole lot of hours on trying to figure out how to install your TV is not the best option. As such, having professionals come in may lead to a job that would have taken you hours be done in just a few short minutes. After this, you’ll be free to go on with the rest of your day. A lot of complications can arise when you’re taking on a job you don’t know how to do. You may end up with a crooked TV, or with a mounting that may just end up failing to do its part. The last thing you want is to see your brand-new TV crashing down, just hours or days after you’ve taken it out of the box. With that in mind, it’s a great idea to have professionals do the job. Professionals have done their job just about a million times, which means that they know exactly what to do to make sure that everything looks just right. This includes those pesky wires that you may have no idea what to do with, and which may make the whole thing look a great deal less appealing. If you hire professionals, you won’t have to worry about things like this one, since they will know how to hide the wires. No one likes to deal with interruptions when watching their favorite TV shows, but if you’re unsure of how to connect your antenna to your TV, you may end up with just that. Professionals, on the other hand, know exactly how to go about this process, making sure that the connection is exactly like it should be, leaving you with a viewing experience that you are bound to love. If you’re looking to purchase some new equipment, such as a new soundbar, to go with that new TV, professional TV installers can help you decide whether that’s the best choice for you. Indeed, they’ve seen it all, which means that they know what works best for a certain type of TV. They can use this experience and knowledge to give you some pointers on what you should get, so that you won’t be disappointed. Bringing a new TV into your home is a wonderful experience, but the process of installing it may be incredibly difficult, particularly if you’ve never done it before. 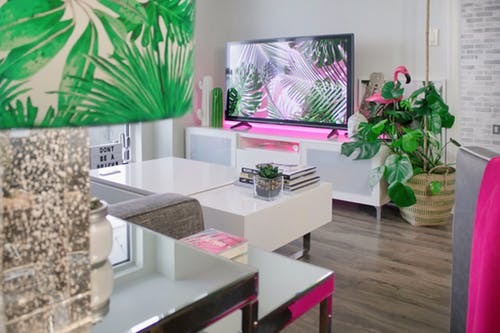 As such, calling in professional TV installers is a great idea, since it will ensure that the entire thing is done perfectly, and that you won’t run into any issues afterwards. All you’re left with is enjoying that great piece of technology.